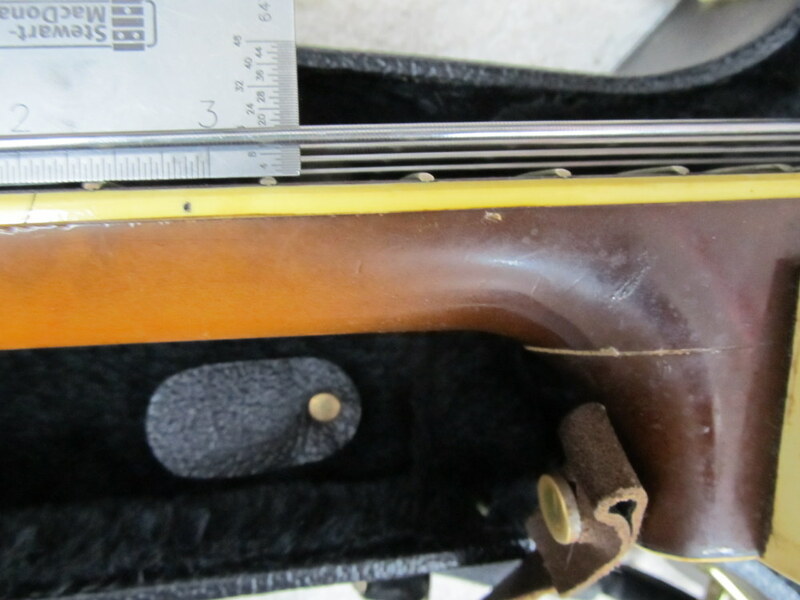 We specalize in Hofner and Klira Bass (aka "Beatle Bass") neck angle resets and neck heel repairs. 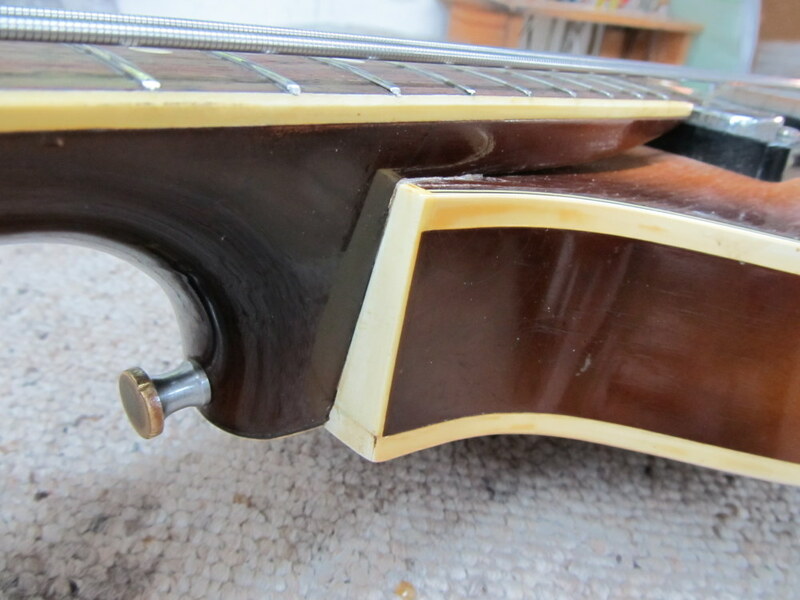 Here are before & after photos of a Hofner bass that was shipped to us with high action due to failure of the stacked heel's glue joint. 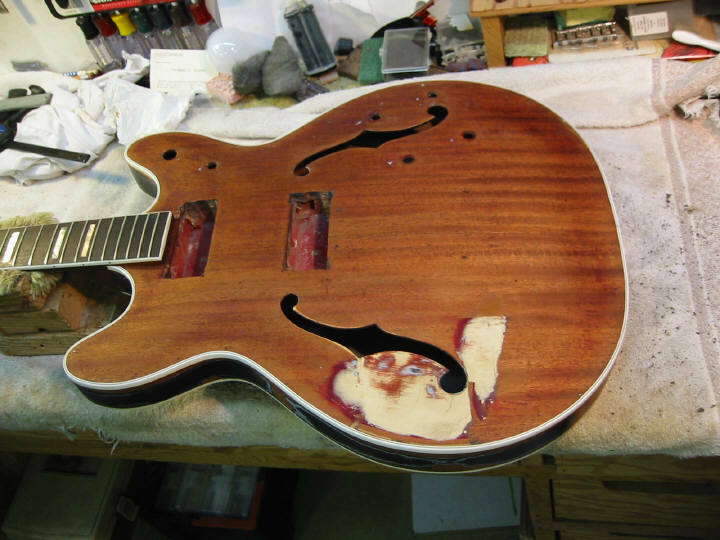 We repaired the glue joint, reset the neck to the proper angle and touched up the damaged finish. 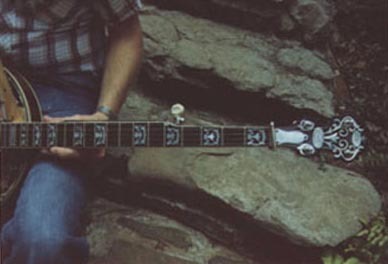 The bass now plays without effort and the intonation is spot on. 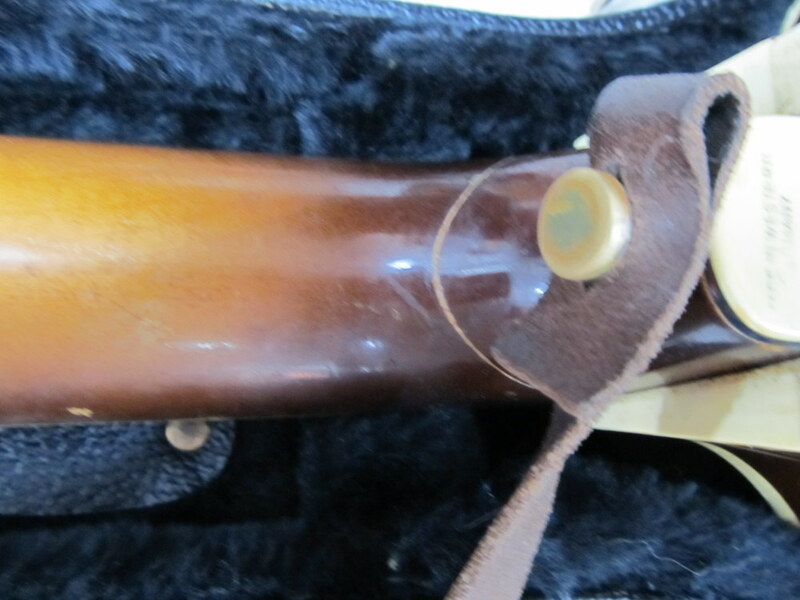 This 1942 Gibson SJ was brought in for finish touch-up on an old headstock repair. The first photo shows how it looked before touch-up and the 2nd photo is after our repair. 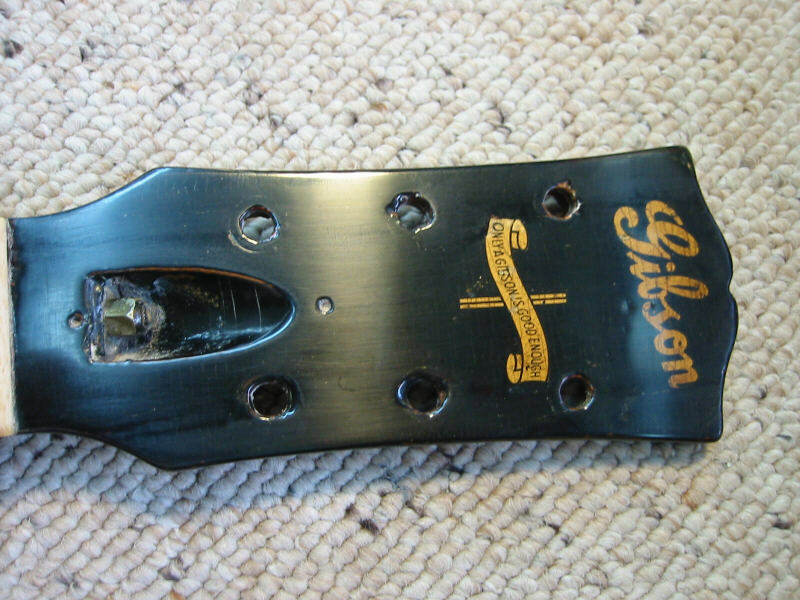 This Guild's headstock had been broken and repaired several times, but the repairs were not holding, and the break kept coming back apart. 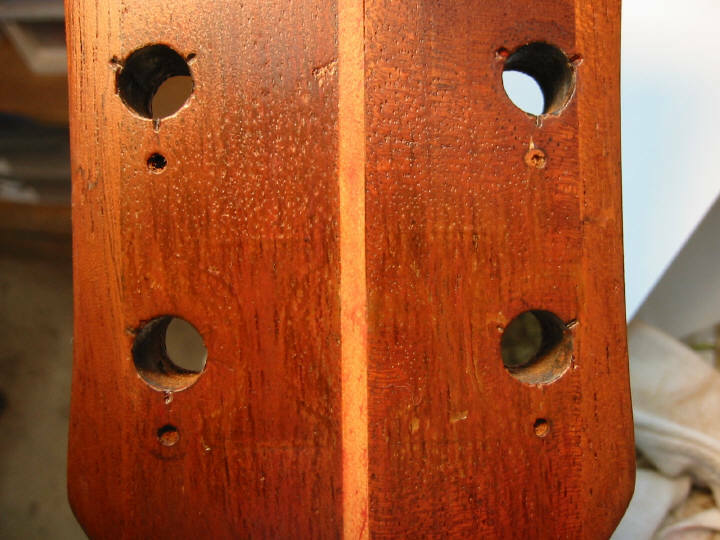 Other repairs, shown in this photo had also been performed on the top, using Bondo! The repair was actually well done, the surface contours of the repair were pretty much correct. 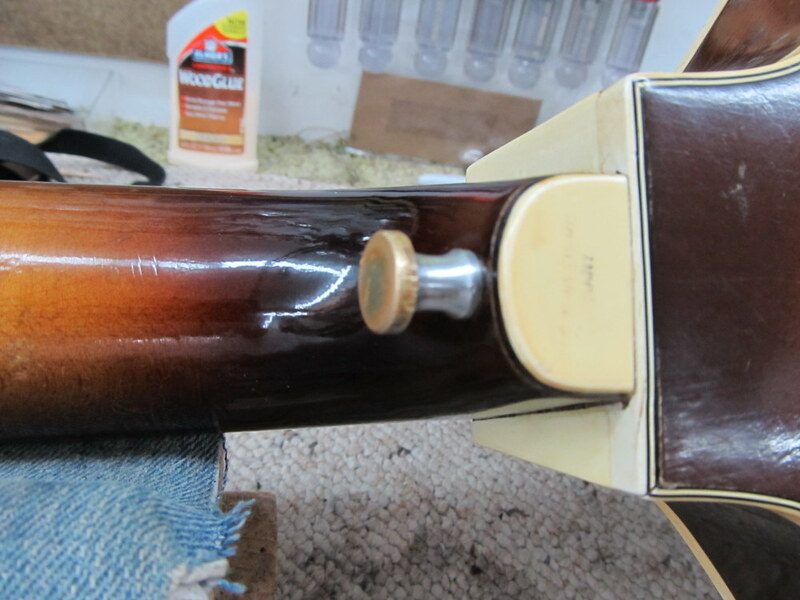 While ugly, the Bondo was pretty smooth, so while working on the headstock repairs, Joyce performed her touch-up magic to a small area of the Bondo nearest where the bridge sits, just to see how it would look. 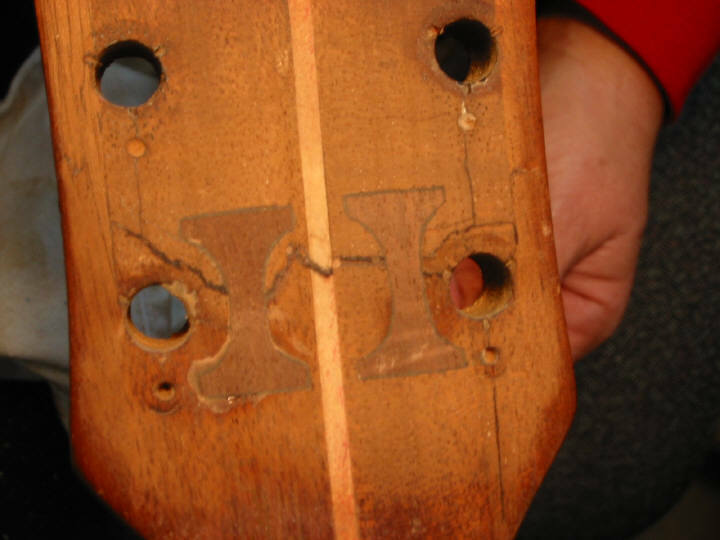 We completed repairs to the headstock, and after the customer saw the results of the touch-up to the Bondo, he asked Joyce to touch-up the rest of the Bondoed area. This how the top looked after Joyce finished the touch-up. 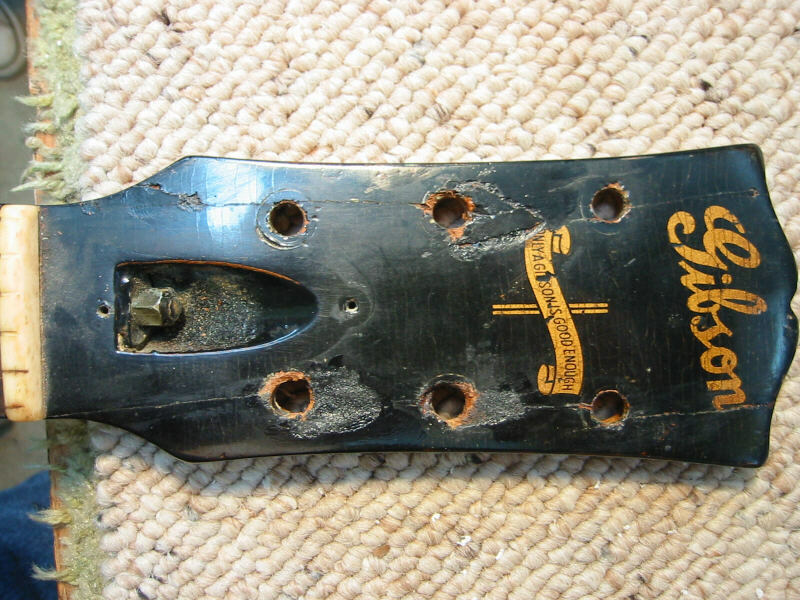 Since the glue in the repaired headstock wasn't holding well and cleaning it out would have been quite difficult, Joyce once again reglued the broken area and then reinforced the area by inlaying two shown cleats deeply into the back of the headstock. This is how it looked before her finish touch-up. 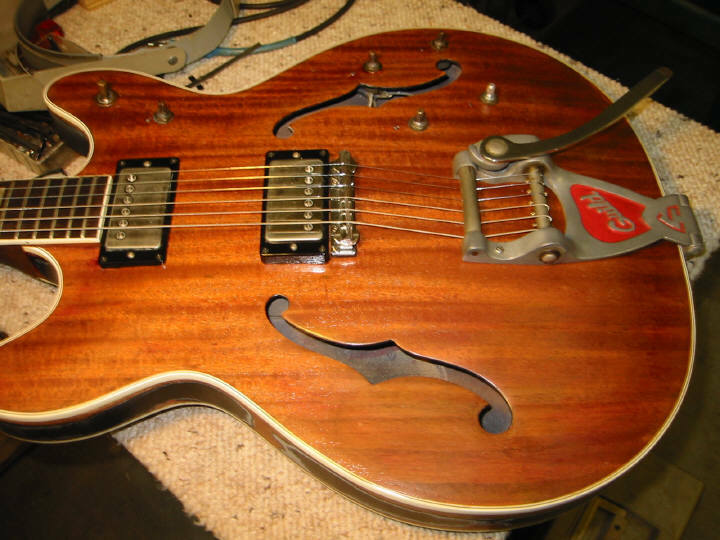 We offer custom finishes done to the customer's specifications. 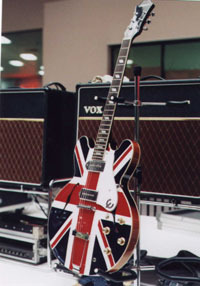 Here are a pair of Epiphone Casinos, displaying the British Union Jack and the Stars and Stripes. 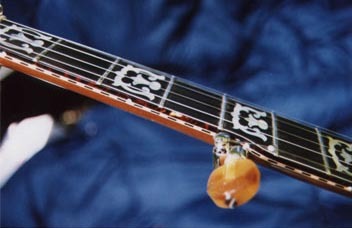 Another service we have available in limited quanities is pearl inlay. 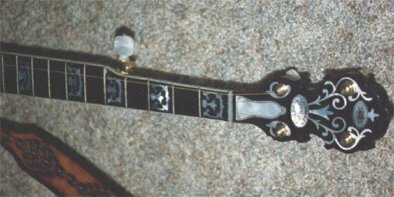 For this service, the customer consults with our pearl inlay artist on the design and together they create a unique inlay pattern. 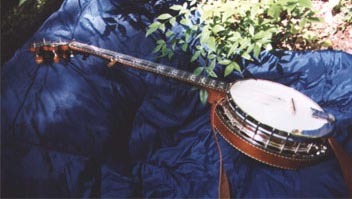 We also build custom banjos and acoustic and electric guitars. 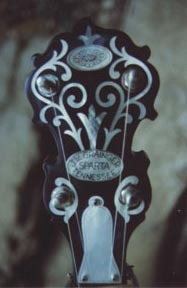 These are usually for very discerning musicians who are unable to find everything they want in a commercial instrument. Prices will of course vary with woods and appointments. These are not a stock item because they are built on commission and go out as soon as they are finished. If you are interested in having us make one, feel free to give us a call, contact us by email, or even visit the shop. 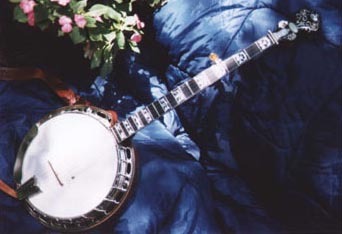 This is a banjo built for Blake Williams in 1984. 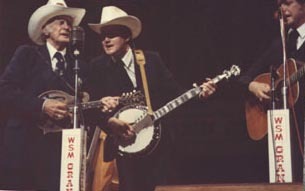 Blake was playing with Bill Monroe at the time and used the banjo for several years as the group toured around the U.S. and in many foreign countries. 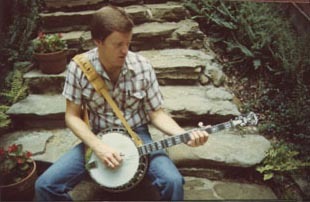 Mahogany banjo built by shop owner Jim Grainger as a personal instrument for himself. It is now owned by one of Jim's good friends. 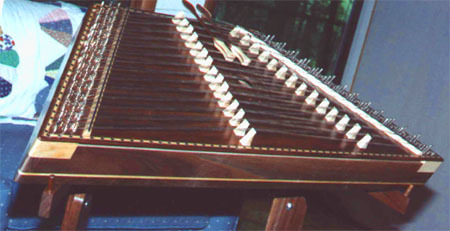 We can build custom Appalachian (lap) or hammer dulcimers to meet the needs of our customers. 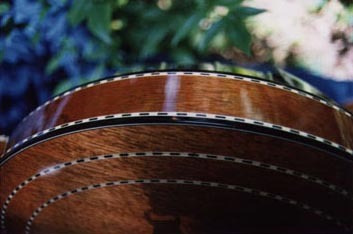 These are custom designed, hand built, one off intruments. Prices vary with size, woods, and appointments.